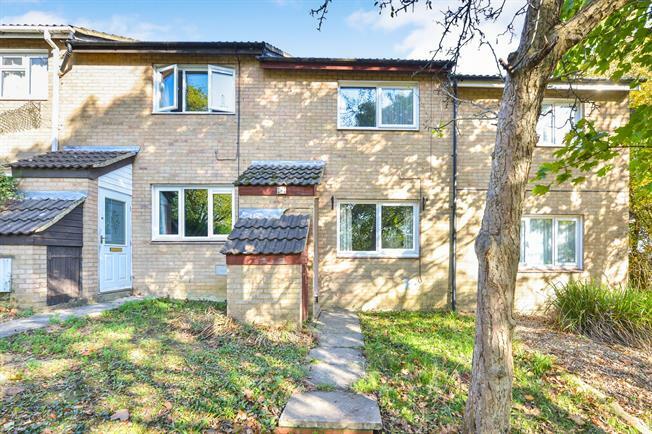 2 Bedroom Terraced House For Sale in Milton Keynes for Asking Price £194,995. Offered with no upper chain, this fantastic two double bedroom house over looking park land and local playing grounds. Situated within easy access to many local amenities including shops and schools. The accommodation in brief comprises of porch, lounge/diner, kitchen, two double bedrooms and a family bathroom. Externally there is a generous sized rear garden and one car parking space. Double glazed window to front aspect, radiator, TV points. Laminate flooring. Access to kitchen. Single stainless steel sink and drainer with cupboard under, further range of fully fitted base and eye level units. Space for washing machine and cooker. Window to rear aspect. Window to front aspect. Double bedroom. White suite fitted to comprise of panel bath and wall mounted fitted shower, WC with low level flush, pedestal wash hand basin.